Who doesn’t enjoy lazy afternoon sitting in a garden with a good book, great music and maybe a glass of some refreshing drink. Whether you are a veteran of many campaigns against the weeds or you are blessed with green fingers then vouchercloud has all your gardening needs. 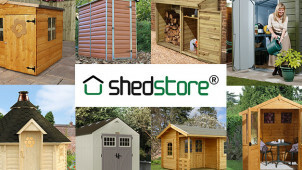 Save now on all garden necessities with garden vouchers exclusive to vouchercloud today. You can also check out the great deals on conservatories and conservatory furniture from a range of outlets. With so many participating outlets you will be sure to find the garden or conservatory accessory for a great price today. Have you ever thought about growing your own vegetable? Growing your own fruit and vegetables is a brilliant way to make use of your garden. The British weather lends itself to growing some really tasty vegetables including marrows, swede, beetroot, cabbage, carrots and cauliflower – and those are just the traditionally grown vegetables. In modern times you can grow your own “superfoods” including kale and varieties of broccoli. Get the seeds today for a discount cost with a garden voucher from vouchercloud today. You do not just have to plant your vegetables in the open; there are some great offers on greenhouses in which you can grow tomatoes, grapes and other vegetables and fruits that require a warm temperature. Of course, you can also personalise your garden with beautiful flowers to give your garden a unique flavour.